Poised atop acres of oak-entwined rolling hills, this expansive mediterranean-style home greets you with far reaching views for miles. 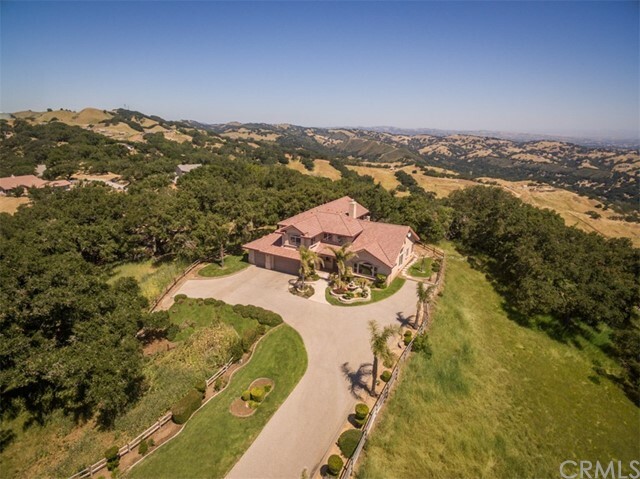 Located in the oak ridge estates community of atascadero, this serene country escape awaits you. Revel in watching wildlife amid oak-studded hillsides from the vast amount of windows carrying ample light into this airy home. With spacious light-filled rooms, vaulted ceilings and views throughout, the home has 4 bedrooms plus large bonus room, office, 4. 5 bathrooms, great room and family room. Both the bonus room and office offer en suite bathrooms, making them great options for up to 6 bedrooms if needed. The main level master suite enjoys stately double door entry, patio, soaking tub with view, large walk-in shower, and an intimate reading nook with limestone fireplace. The spacious light filled upper level bonus room enjoys large window views, private balcony, and en suite bathroom, and offers a variety of uses such as a 2nd master suite, movie room, play room, etc. Located just 10 minutes from town, this private hilltop setting is the utmost in peaceful country living. 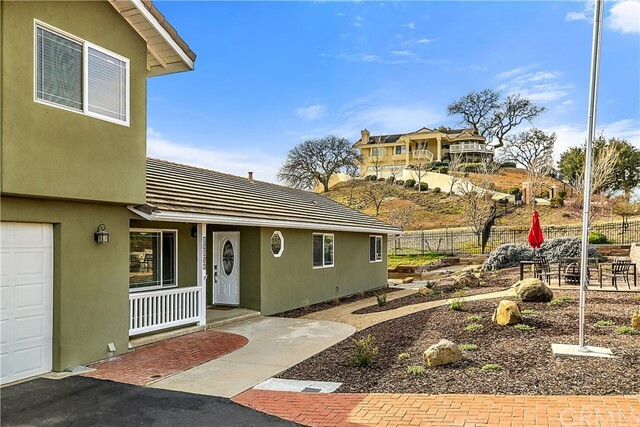 It's also centrally located to some of the best areas of the central coast - 20 minutes to the acclaimed paso robles wine country, 20 minutes to morro bay, 30 minutes to downtown san luis obispo, and 40 minutes to cambria. On a clear day you can see forever! You could travel the world and find little to compare with the peace and tranquility of this lovely spot. A beautiful and updated 3-4 bedroom, 2 bath home, with a large upstairs family room/office or can be used as a large 4th bedroom, all located on 3. 13 acres. This beautiful home has been completely updated throughout, newer kitchen, beautiful brand new master bathroom, gorgeous guest bathroom, new carpet and so much more. A home anyone would be proud to call their own, it's the perfect blend of privacy and convenience. Wonderful california traditional home on a gorgeous third+ acre oak-studded lot and quiet low traffic street. Close to town with a rural and private setting. Behind an enchanting white picket fence and garden arch your dream home awaits. Through this charming front entry you are greeted by a light and airy open floor plan. Complete with new wide plank vinyl wood floors, updated lighting, and a cozy wood burning stove, the main living area is highlighted with tall ceilings and a stunning hill and city view. The dining area flows directly into the recently updated kitchen with spacious quartz counters, top on the line stainless steel appliances and and deep farmhouse sink. The main level master suite affords hills views and deck access. On the second level, 2 additional large bedrooms and bath are accessible by stairs from the main living area and would make excellent guest rooms or home office space. Move-in ready! 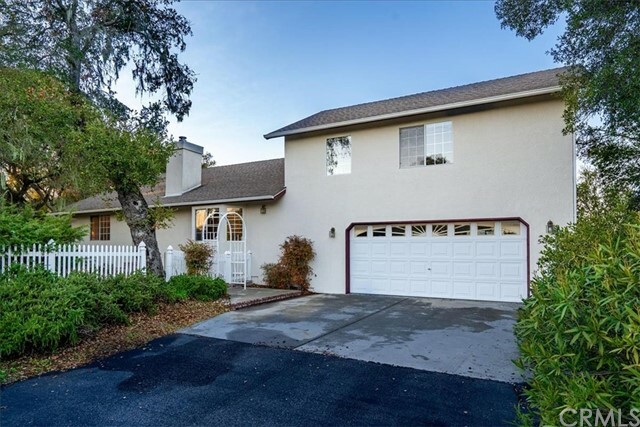 As of today, 4/24/2019 the average home price for homes for sale in Atascadero is $475,495.